Scrolling through Instagram and seeing all of these images of luxurious vacations, designer fashions and expensive cars posted by some of the hottest and most privileged people in the world can make you feel like you aren’t amounting to anything in life. 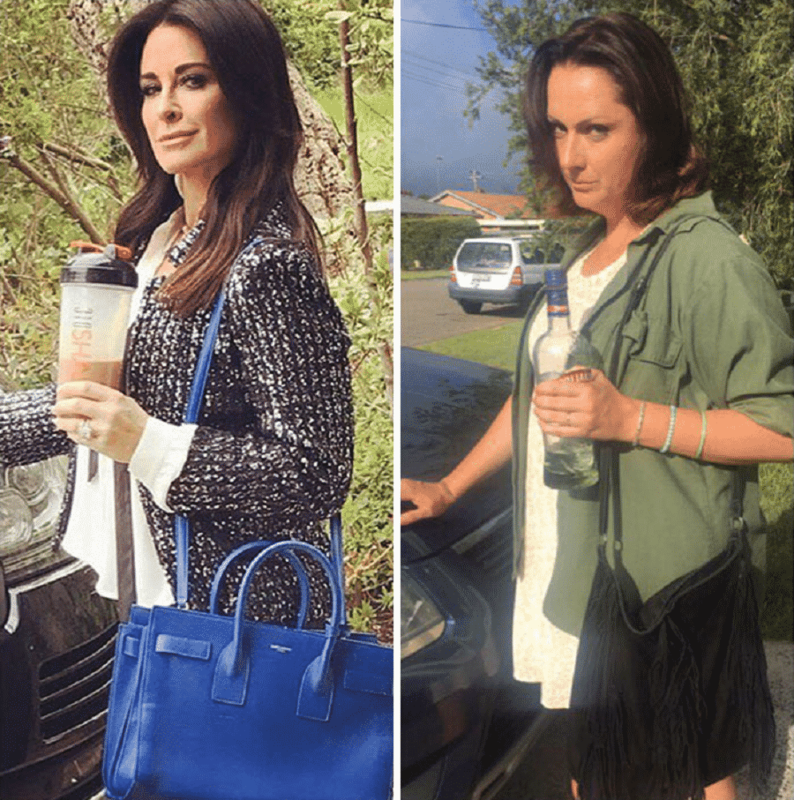 That’s where Australian comedian, Celeste Barber, comes in and slaps us back into reality. 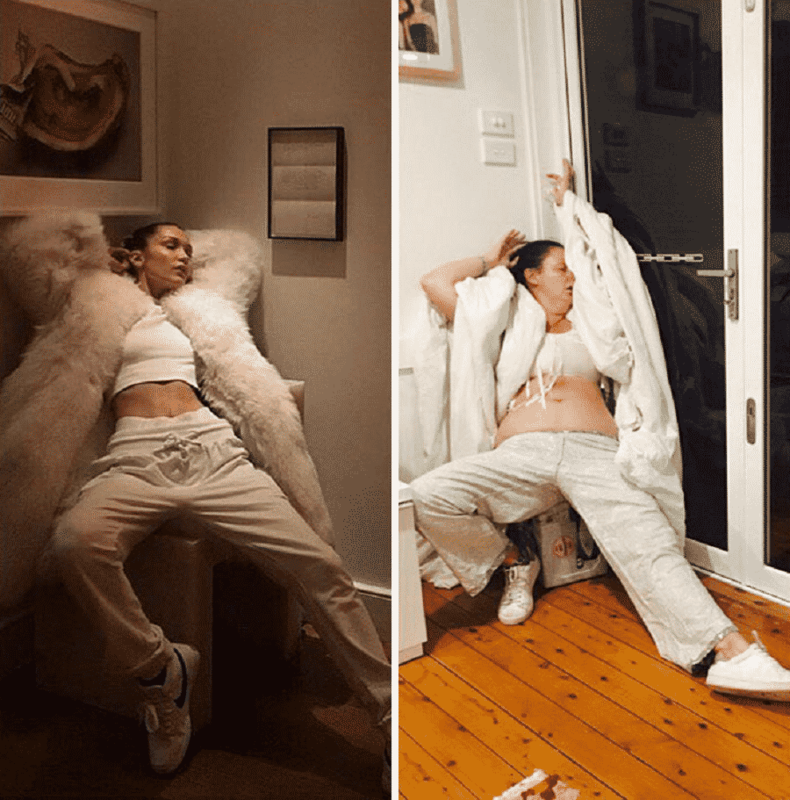 For awhile now, Barber has been recreating some of the most popular celebrity Instagram pics, but with a much-needed touch of realism. 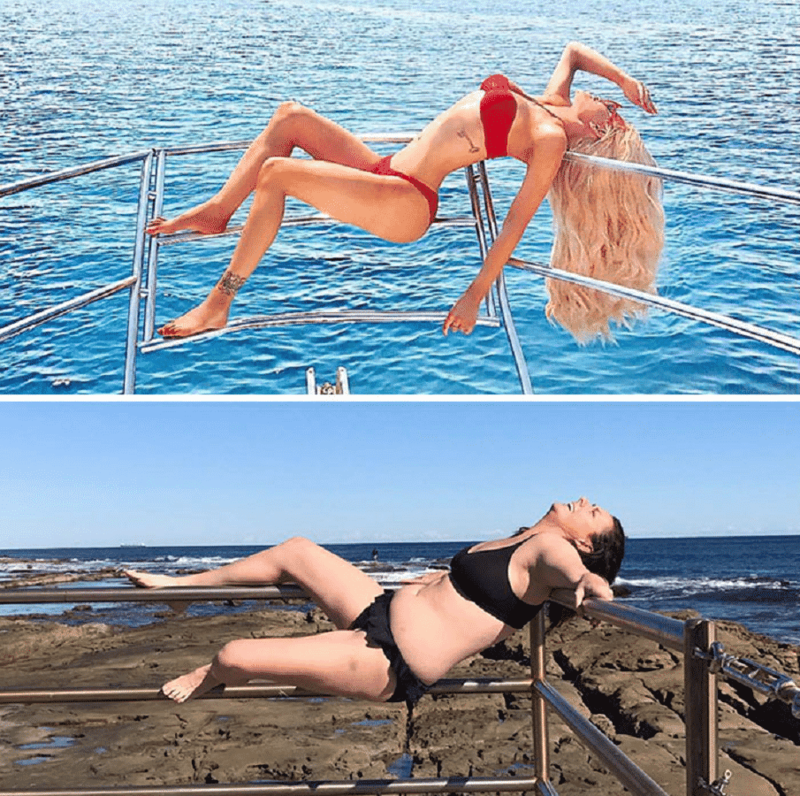 Her recreations are hilarious, relatable and remind us that no matter what filter someone puts on a picture, life isn’t always as rosy for some people as they make it out to be. You’re not going to believe what Celeste pulls off in what could be her best comedic work! 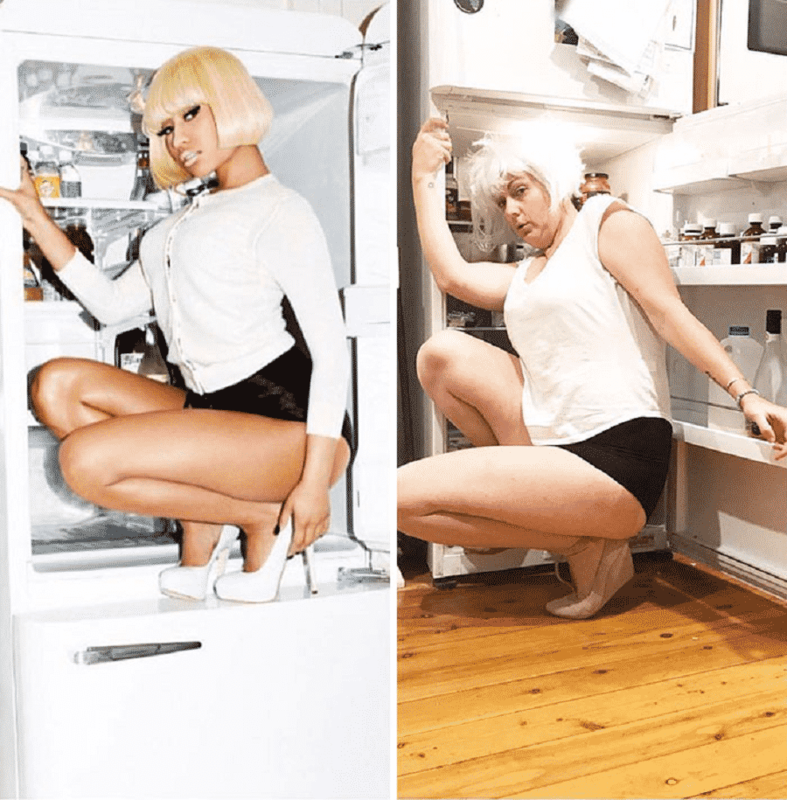 She imitates Nicki Minaj in #5, and it will have you in tears, and you won’t believe who we saved for last. Trust and in my case, a little less carbs would probably would have helped in this situation. But hey, life isn’t a beautiful ray of sunshine that lights up your face perfectly for that perfect Instagram pic like in this next image. She hit the nail on the head with this one…who looks that serene with a prism of light right in their face? You’re not fooling us, girl. Barber’s attempt is what I think the majority of us would look like. Maybe this isn’t your go-to pose, but your next attempt of looking fab at the beach will go better for you, I’m sure of it. But if not, maybe consider covering up as Barber has done in #18! 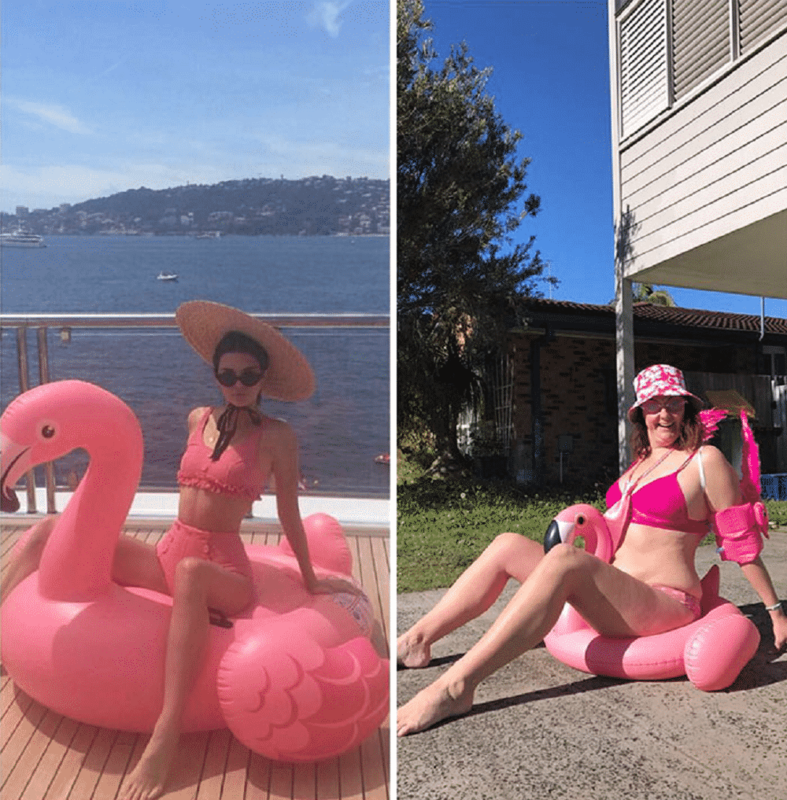 So maybe you don’t look as fab as you had hoped in the second attempt and you look nothing like Kendall Jenner, but we can all blame the flamingo for that one. Obviously he hasn’t been getting his protein shakes and hitting the gym enough to be primed for that photo opp. I for one am excited for summer to go away and winter to come so that I can cover up with one of my fav outfits coming up next. I’m so sick of working out to achieve that perfect beach bod. Barber’s interpretation of Katy Perry’s picture is such an accurate depiction of the moments after a successful dinner party. I think we can all agree that this is how we celebrate this sort of achievement. 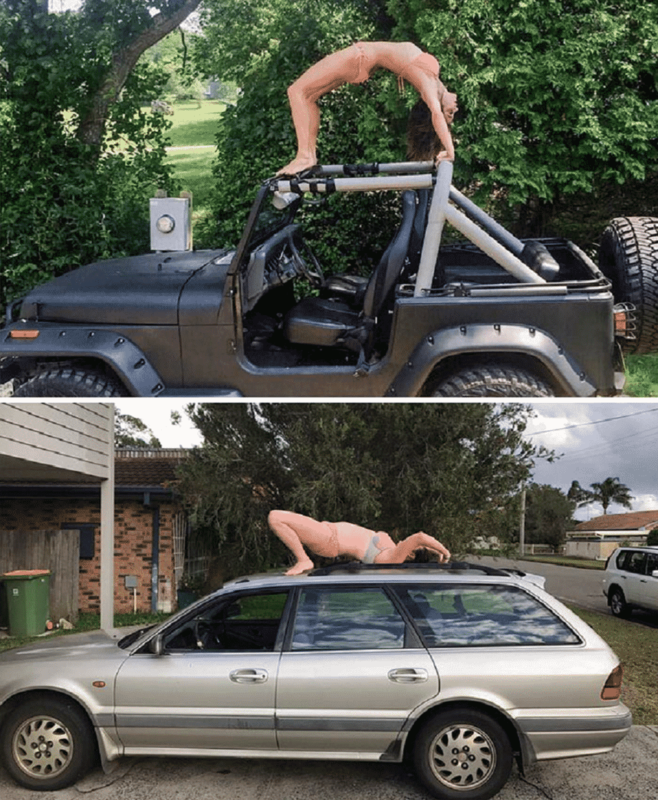 I personally like to test my flexibility moves out on top of my vehicle. I like having more of an audience like the celebrities do, you know? 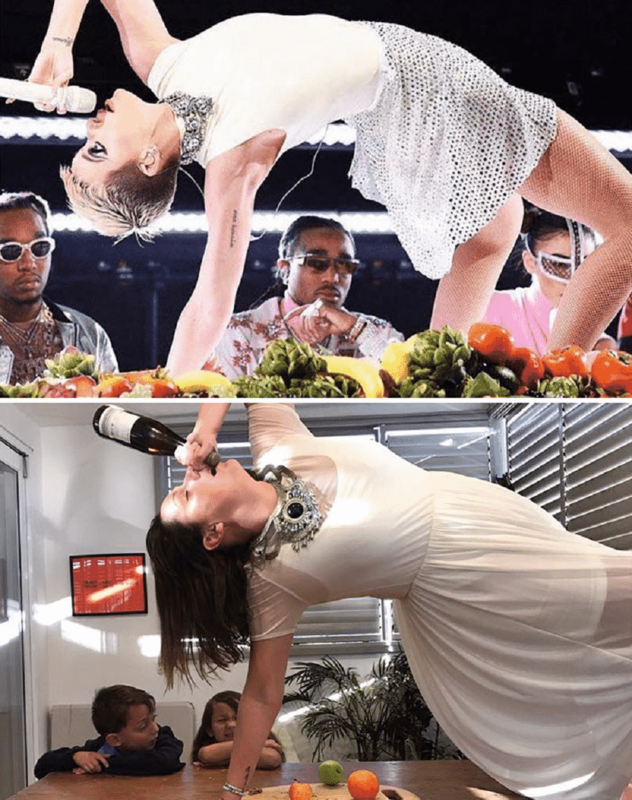 What is it with these women and their insane back arches? Is there a school I can go to to learn that skill? Maybe Selena Gomez knows a thing or two. Let’s check in with her. Nicki and Celeste both know what’s up when it comes to playing hide and seek. Stuff yourself in your fridge and you’ll be good to go for days (the heels might hurt after a while, though). This is all totally normal behavior by the way, just like walking your dog in your underwear. Sounds logical right? Keep going! You won’t believe who we saved for last. When your dog needs to go out for a walk, there’s no time to put clothes on. All pet owners know this. 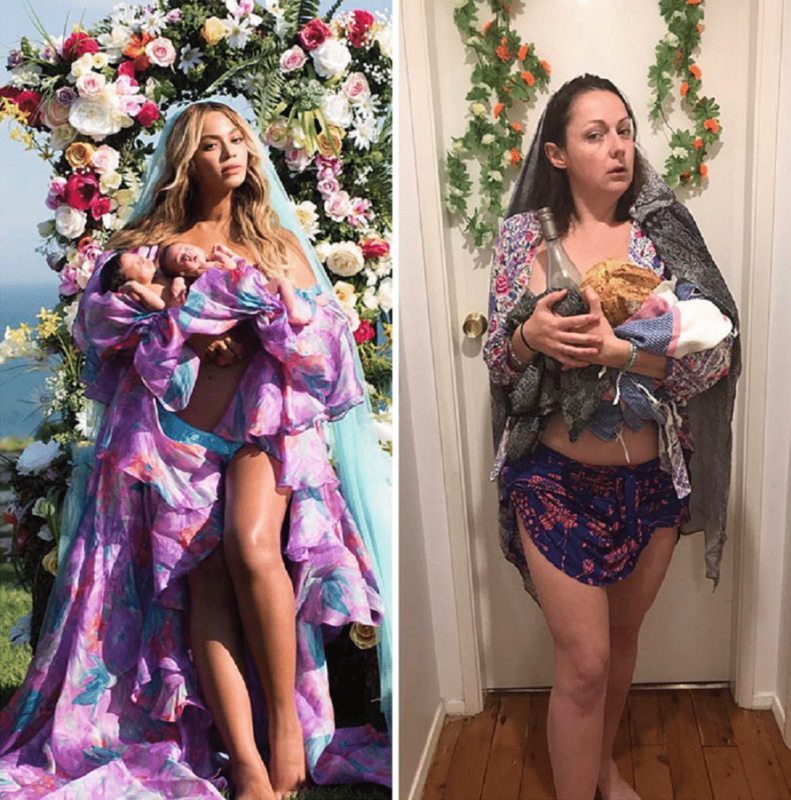 We would do anything for our fur babies, just like Beyonce would do anything for her new twin babies. Her commitment to owning the photo opp is real in this next one! When the invasion happens, these ladies will be all set to blend in and save themselves. The rest of us need to get with the program! I for one will pass on the tinfoil suit and hat and opt for the more au natural look that Miley Cyrus has going on. 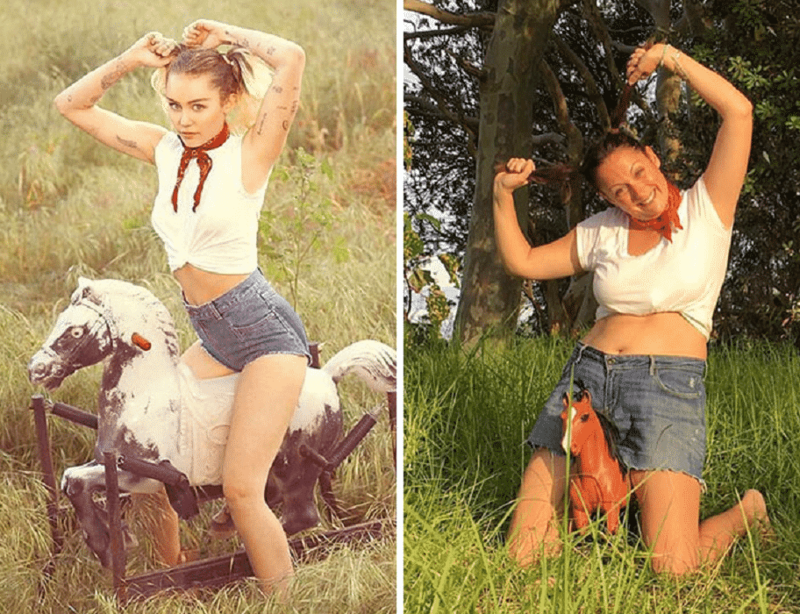 It’s been a long time since people wanted to recreate what Miley Cyrus is doing, but this shot absolutely nails the randomness and hilarity of the original. 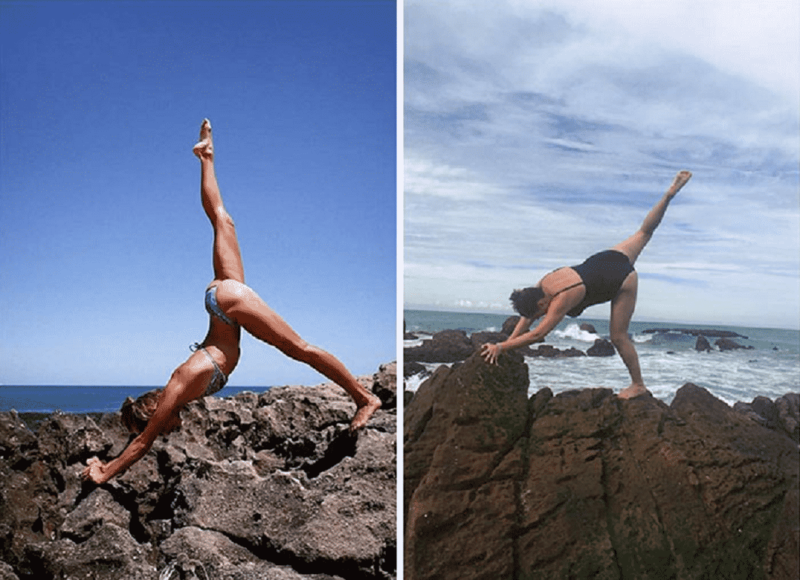 Some people are really good at posing randomly, while others seem to struggle with even the most basic yoga poses. Do you think you could nail this next pose? For your own safety, maybe don’t attempt this one at home. Only rich models can do it because they have a team who can photoshop them just about anywhere they can dream up. While we’re on the topic of dreaming, how is it that models always look so majestic even when they’re sleeping? This is how you think you look taking a nap vs what you actually look like. Stop lying to yourself. We all walk around with coffee cups, but what’s really in those drinks? I’m sure it’s just a protein shake to pump you up before you hit the gym next, right? I don’t know what’s worse, Nicki’s outfit or her pose. Either way Barber slayed them both. 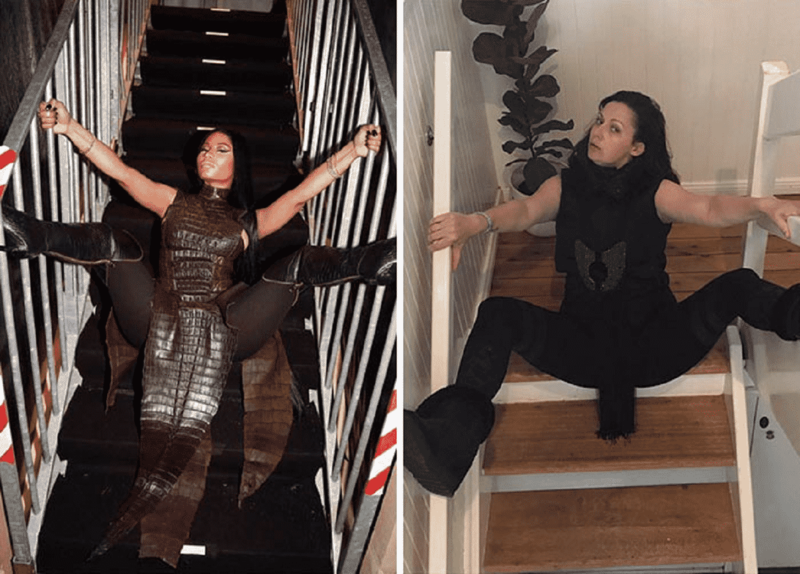 How do celebrities get away with these ridiculous outfits and posing nonsense? P.S. If you’re looking for answers here, you won’t find them. 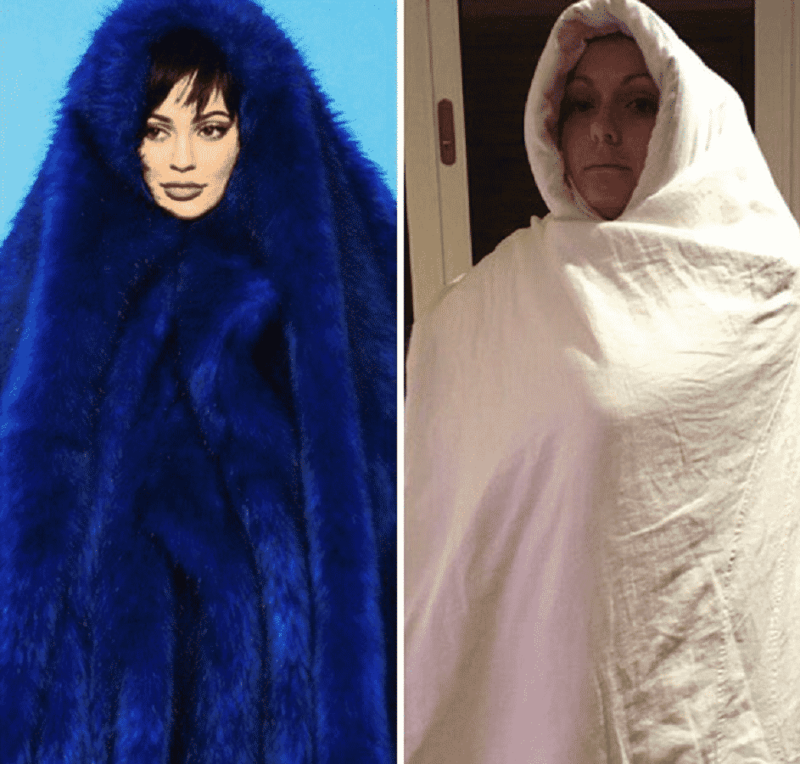 But if you’d like to see a celebrity who spent thousands of dollars on a fur shawl that resembles the cookie monster from Sesame Street, I suggest you click next because this is something your eyes need to cast judgement on. Why spend thousands on a fur shawl that makes you look like a Sesame Street character when you can transform into Casper the Friendly Ghost with your very own duvet? 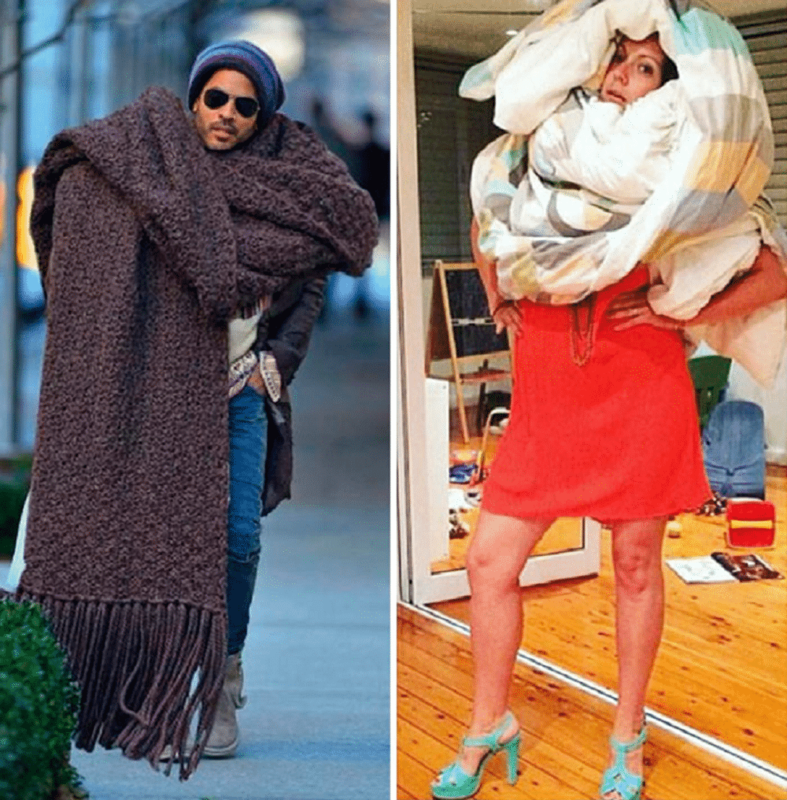 And the great thing is that you can simply roll out of bed with your duvet wrap and you’re ready for your photo shoot. Or try this next fashion trend called “Straight Out the Shower” for your next Insta-worthy pose. 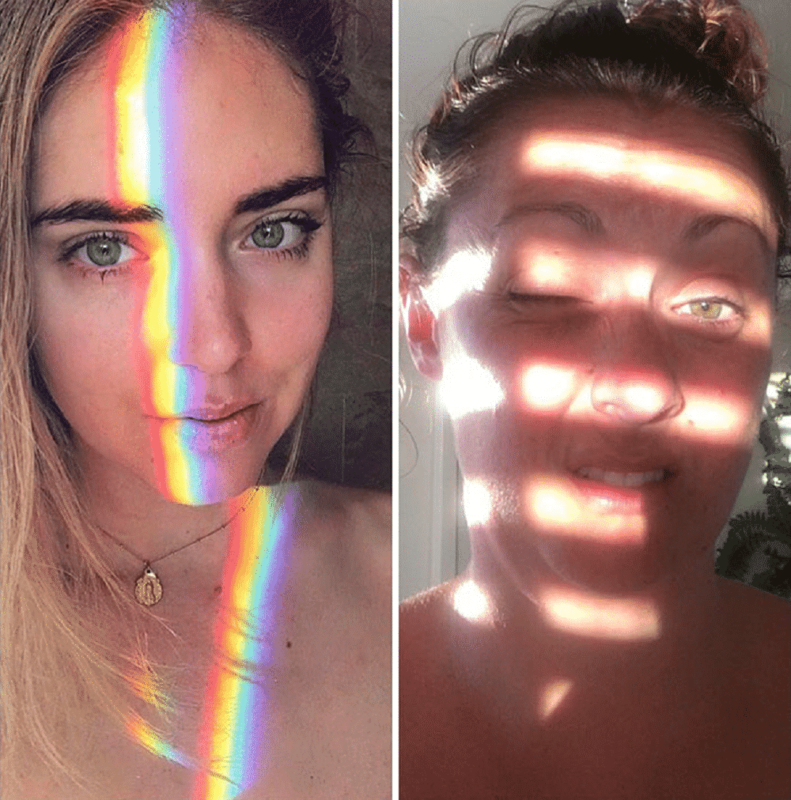 Matching towels or not, these Straight Out the Shower photo shoots are great poses, but maybe not as Insta-worthy as pulling up a chair in a random grassy patch. There’s just something so ultra modern about it, like you’re a model at Coachella or something. Who said bathing suits were only meant for the beach and swimming? I couldn’t afford tickets to Coachella so I’ve got some tracks pumping in my yard. It’s not trashy, ok? We all know that any more than one suitcase causes immense anxiety and stress. That model isn’t fooling anyone. 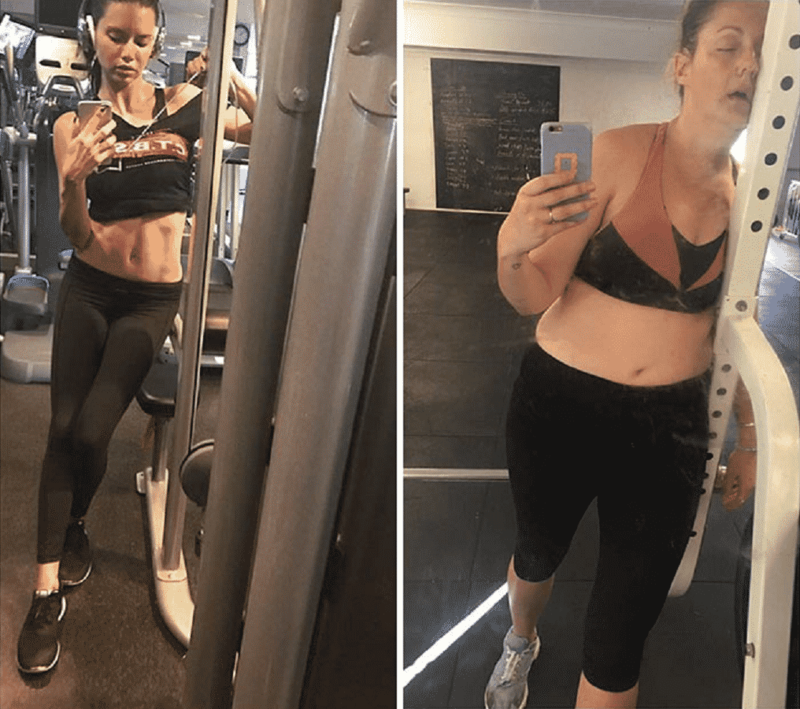 The reality is that these models and celebrities all have a crew of nearly a half dozen or so people that are priming and prepping them to look their greatest and lifting their heavy luggage from point A to point B for them. But for everyday people like you and me, life isn’t all that glamorous but we get by all the same. Besides, what would life be like if we couldn’t sit back and be entertained by these celebrities and their ridiculous antics?